You have one more day to get all your British Airways flight bookings made to earn Double Avios on them for the remainder of the year. Remember when you register and book British Airways flights by April 19 you’ll earn 100% bonus Avios on those flights. The bonus is good for up to 6 flight sectors. This means if you are flying point to point it would be valid for three round trips. However if you are flying a route like New York-London-Milan that would count as 4 sectors if flown round trip. 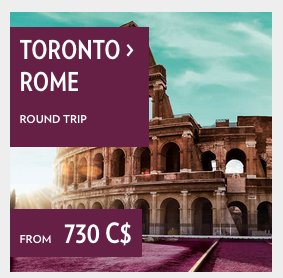 Find many more Executive Club bonus Avios offers here! 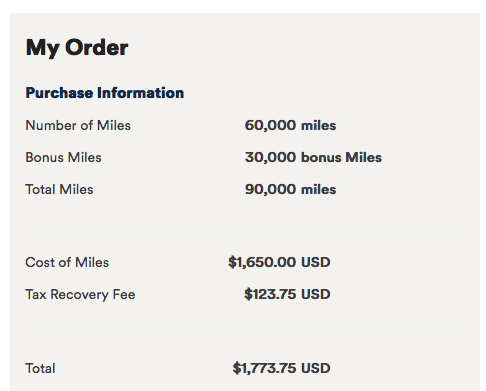 Alaska Airlines has brought back their best bonus for buying Mileage Plan miles! Right now you will get up to a 50% bonus when you buy 40,000 or more miles. This is one of the best buy miles offers from any program that you will find as it can provide lots of value when redeeming for the right flights! Seeing that you can redeem miles for premium class flights on British Airways, Cathay Pacific, Hainan, Korean Air and more, there are lots of options for you to use these miles. Remember it only takes 70,000 Mileage Plan miles to fly Cathay Pacific First Class from North America to Asia and that flight alone will cost a lot more than $1,773.75! Remember if you are a MVP member there is no maximum limit on miles you can buy however if not you are limited to 150,000 miles per year. This is an offer we used to see back in the of Starwood Preferred Guest and now is the first official buy points discount from the Marriott Bonvoy program. 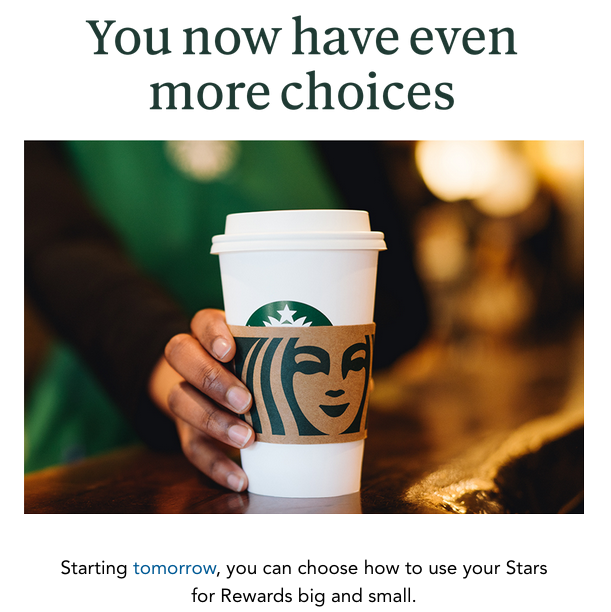 Marriott themselves, when they ran Marriott Rewards typically did not offer bonuses or discounts on buying points but it appears that they may see the value in doing so after the takeover of SPG. Back in the SPG day most offers were 35% off which meant you were buying an SPG point US 2.28 cents (and since Marriott valued SPG points at 3:1 to Marriott) you were effectively buying Marriott points for 0.76 cents each. With this 25% discount you are buying Bonvoy points at 0.937 cents each. This is noticeably higher than we saw with SPG. That being said, there are many redemptions with Marriott where you can get over 1 cent per point value so buying points could make sense for an expensive stay or for topping off an account. This is encouraging however and perhaps Marriott will see how successful or unsuccessful this offer is and adjust it for future sales to something that is more inline with the old SPG buy points offers. Here's an example of just some of the other offers you might find! Today we welcome the second post from Rewards Canada contributor Jeff W.! Jeff has been a long time reader of Rewards Canada and we've had lots of discussions with him via email and Twitter as he is always looking to maximize his credit card, travel and other loyalty program rewards! This is his second post of several that will look at how he utilizes the Scotiabank Gold American Express card! Hey fellow Rewards Canada Readers! This is now my second time writing for Rewards Canada. My first post was in regard to earning points on my Scotiabank Gold Amex card. This time around, I’ll be delving into the redemption side of things. To recap, if you missed my first article, I’ve always been intrigued by rewards credit cards as well as loyalty programs. We’re a family of 4, with two young kids, I’d say with an average family income. We like to travel and take our kids on experiences as often as we can as I think family vacations can be very educational. Normally we’ll do a few weekend road trips per year, a week or two summer vacation, and then a winter tropical vacation every two years, for a couple weeks. As I mentioned previously, based on my families spending habits, the best card out there is the Scotiabank Gold American Express Card. There are a couple of ways you can redeem with this card. The first, is pay for your travel on your card, once you see the charge applied, redeem your points towards this charge, either the full charge, or some of it, its your choice. 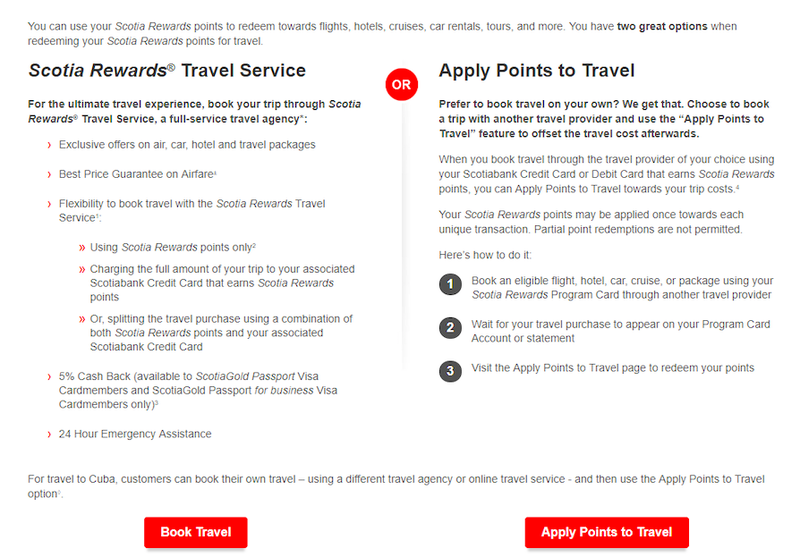 The second way is to book through the Scotiabank Rewards website. 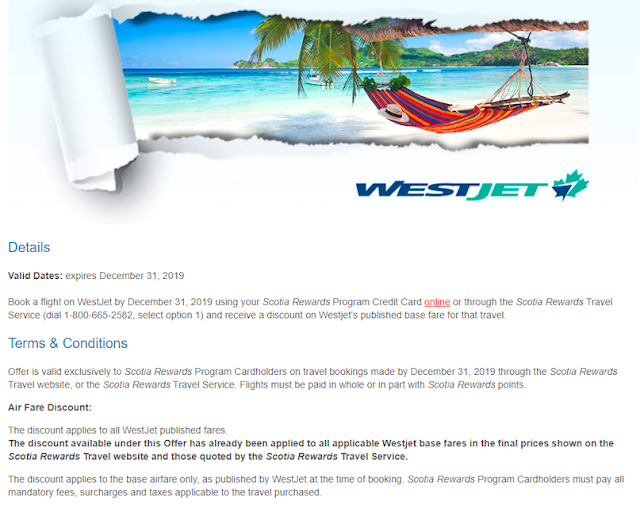 One advantage of booking through Scotiabank’s Rewards website is being able to book a flight on WestJet for a 5% discount (on the base fare) over their regular rates. When it comes to redeeming, it’s really your own preference. I prefer to use the points I earn from Scotiabank for our ‘major’ vacations, those that are for a week or longer, aka the big-ticket vacations. Therefore, I’ll use them for our summer holiday plans or for our tropical vacations that we take every two years. When it comes to booking a vacation, I’m looking for the best deals out there to make our travel dollars go the furthest. Most hotels have their ‘member’ pricing, or ‘loyalty program’ pricing. If you can combine that with the advance purchase rate, this is the best rate you can obtain online. This is not however the “best” price you can get. If you return to the same hotel, over and over again, you can build a rapport with the management team, and for future visits contact them directly for a negotiated rate, which is cheaper then the best advance booking loyalty rate. For example, on our winter vacation a few years ago, we went to Hawaii for three weeks. We were contemplating staying at the same hotel as our previous vacation. If and when, staying at the same hotel, and being at the hotel for an extended period, many of them will give you a deal. We received a 20% discount on the hotel. 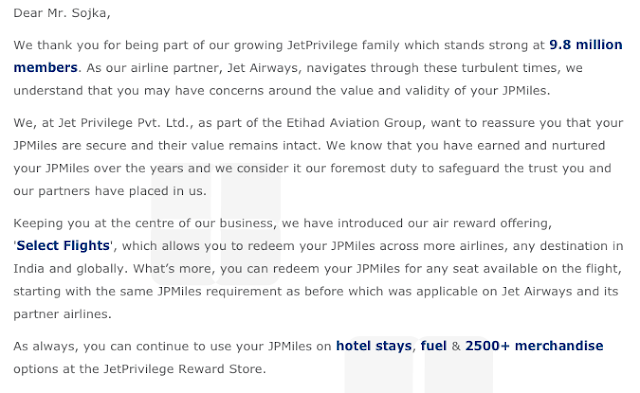 By booking through the hotel, you can also earn points towards their loyalty program, which is another bonus. 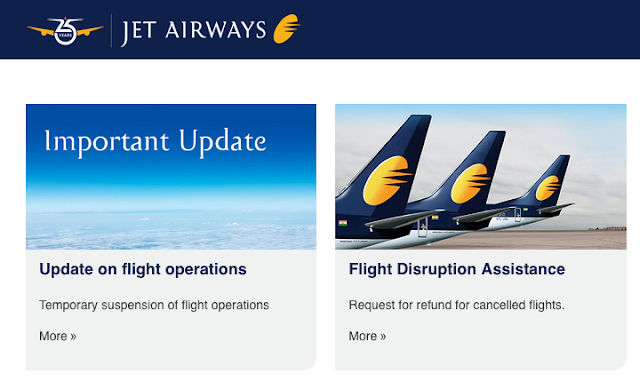 You can’t do this if you’re booking through an online travel agency. On this trip we booked our flight through the Scotia Rewards program on WestJet, so we also received the 5% discount on our flights. Keep in mind as well, if you are doing excursions or sightseeing tours while you’re on vacation, these could also be categorized as “travel” expenses and could be valid for you to redeem your points towards. We went whale watching and were able to redeem our points towards that expense as well. Editor's note: I recall this as well, we went whale watching with Maui's Pacific Whale Foundation and the charges showed up as a travel charge for our American Express Gold Rewards Card. Redeeming points on the Scotiabank Gold Amex card is so easy to do online, and no one to call. 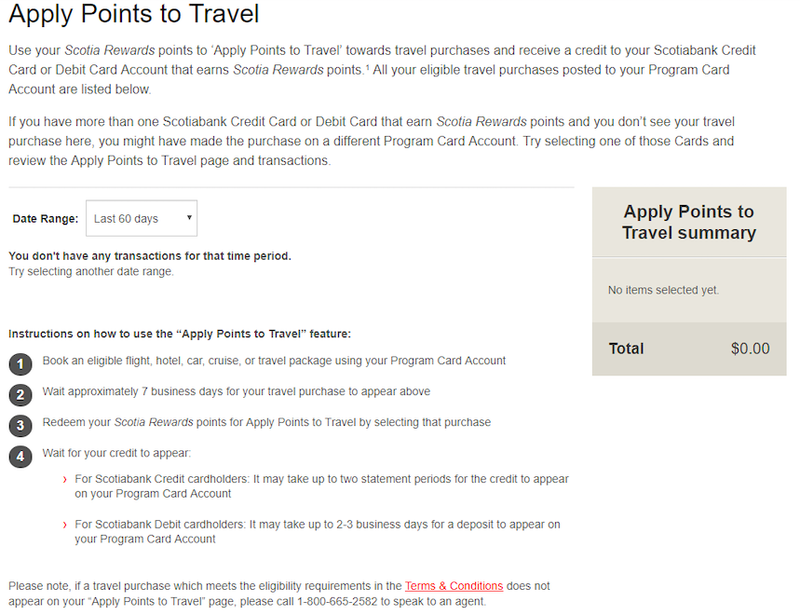 Charge my travel to my card, and then simply log in to Scotia Rewards to redeem my points. Cards like these, that allow you to book your travel how you want are in my mind the best possible cards out there, as it allows you to maximize your savings.